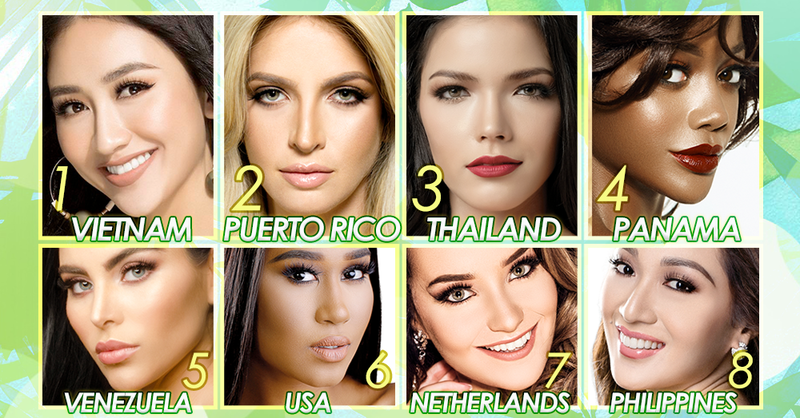 We are just three weeks away from the 17th Miss Earth finals! 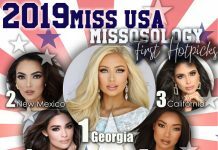 With the pre-pageant competitions happening each day, the some delegates have started to cement their “front-runner” statuses in the competition. From the 10th place in the previous list, Vietnam‘s Lê Thị Hà Thu is now leading our latest host picks. She already bagged two medals in the resort wear (gold) and talent (bronze) competitions. This lady is also one of the leaders in the online photogenic contest. 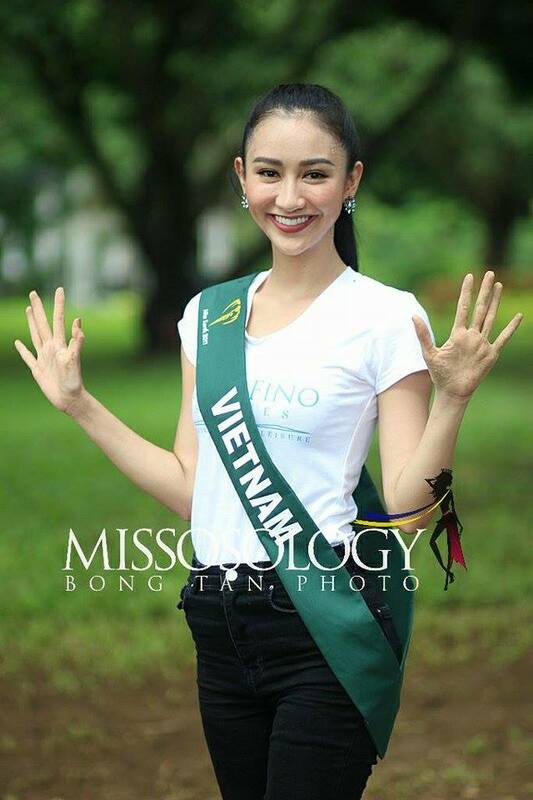 No wonder Miss Earth has been the top trending topic in Vietnam for days now, all thanks to this beautiful lady who is proving to be a major contender for the crown. 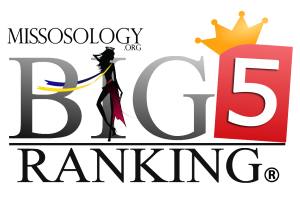 Finally entering the elite Top 4 of our list is Puerto Rico‘s Karla Aponte. Being adjudged Best in Swimwear in her group surely gave Karla her much deserved attention. Aside from that she also bagged a sponsor award. 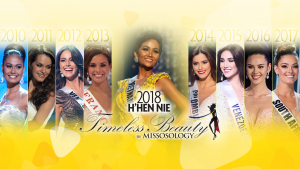 With Puerto Rico still reeling from the devastation of two hurricanes that hit the island last month, Karla’s achievements in the pageant is definitely giving her countrymen a much needed glimmer of hope. Thailand‘s Paweensuda Drouin is in the third spot. Despite the emergence of new “favorites” in the competition, Fahsai continues to prove that she is a cut above the rest. 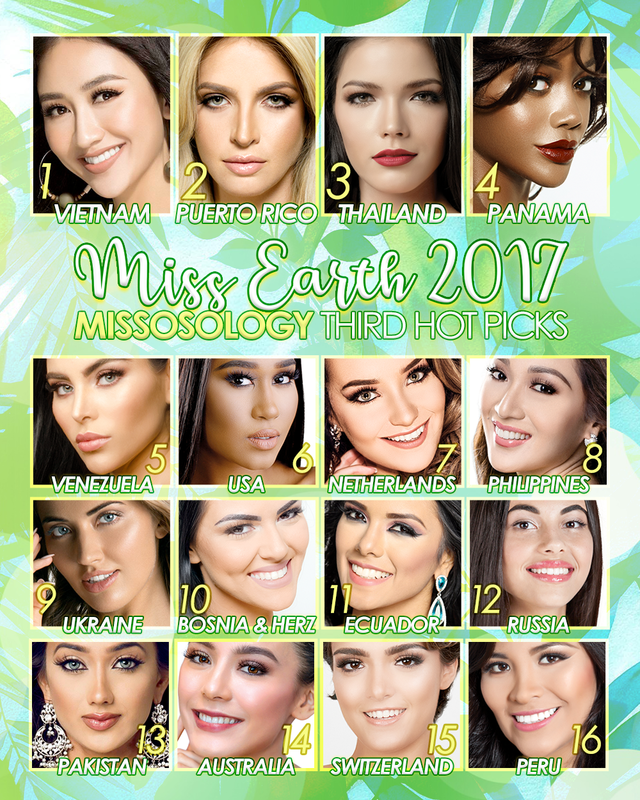 Winning the Miss Earth-Hannah’s special title gave her some sort of edge over the other candidates (Alyz Henrich, Jamie Herrell and Katherine Espin all won the same special award during their respective years). Thailand’s Miss Earth crown has been long overdue. Fahsai is one fine lady that Carousel Productions shouldn’t put to waste. 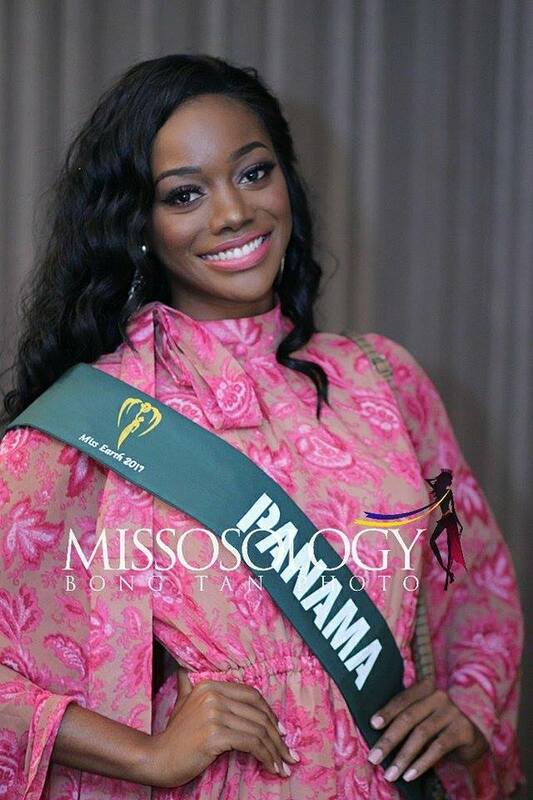 Rounding up the Top 4 for now is Panama‘s Erika Parker. Her interviews with the press are very engaging. She also remains to be one of the most consistent candidates. If Carousel is looking to crown a woman of color as the next Miss Earth, then Erika is one of the best, if not the best, choice.